You have to feel for Henrik Fisker on some level. An undoubtedly talented car designer — he did the still-stunning BMW Z8 — his name is now sullied by the very high-profile demise of his eponymous company. Fisker Automotive may be in the hands of a Chinese company these days, but now Fisker the Man is back with a new muscle car. 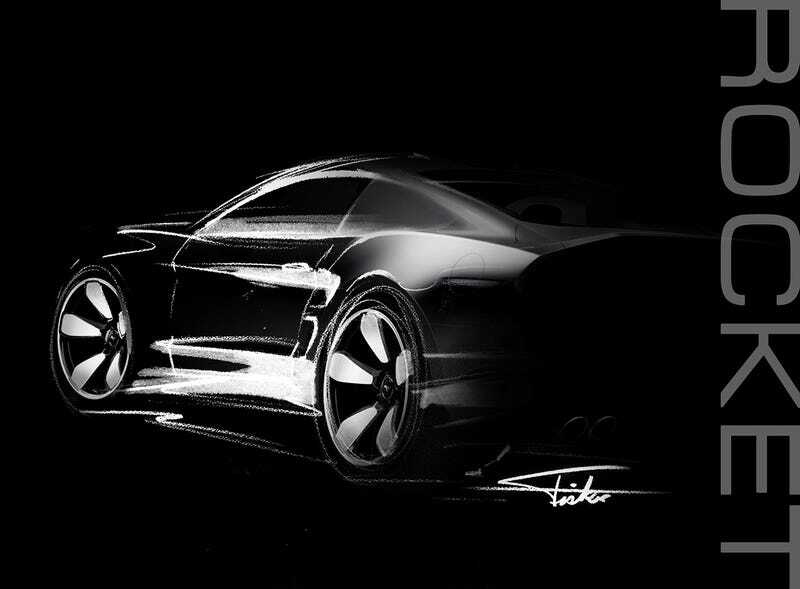 Fisker announced he will debut a carbon fiber-bodied vehicle in connection with Galpin Auto Sports at the LA Auto Show next week. They call it the "Ultimate American Muscle Car," and beyond that enticing title, they offered no details. What could it be? Well, based on this sketch, and the fact that Galpin Motors is the world's largest volume Ford dealer, it's probably almost some sort of Mustang. Beyond that, your guess is as good as mine. I guess we'll find out in Los Angeles soon. Doesn't Fisker know someone already made the ultimate American muscle car? I wonder if this creation has its own New Age cult, too.